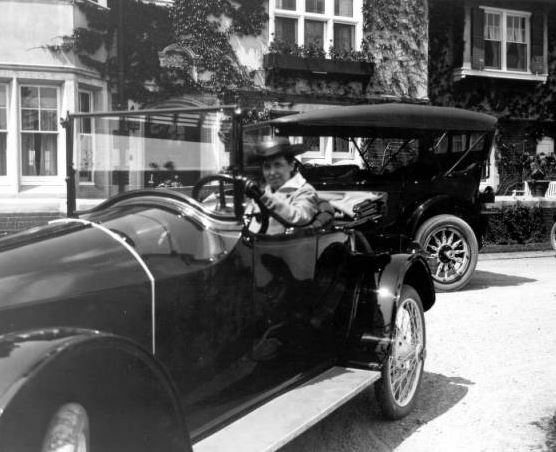 Alexandrine McEwen in front of Cranbrook House in her Scripps-Booth, 1916. Cranbrook Archives. As the organization that is currently hosting the exhibition A Driving Force: Cranbrook and the Car, it would make sense that we at the Center were drawn to this photo for its representation of a 1916 Scripps-Booth, the car designed by James Scripps Booth and produced by his automotive company. Instead, though, the woman behind the wheel is the real star of the image. 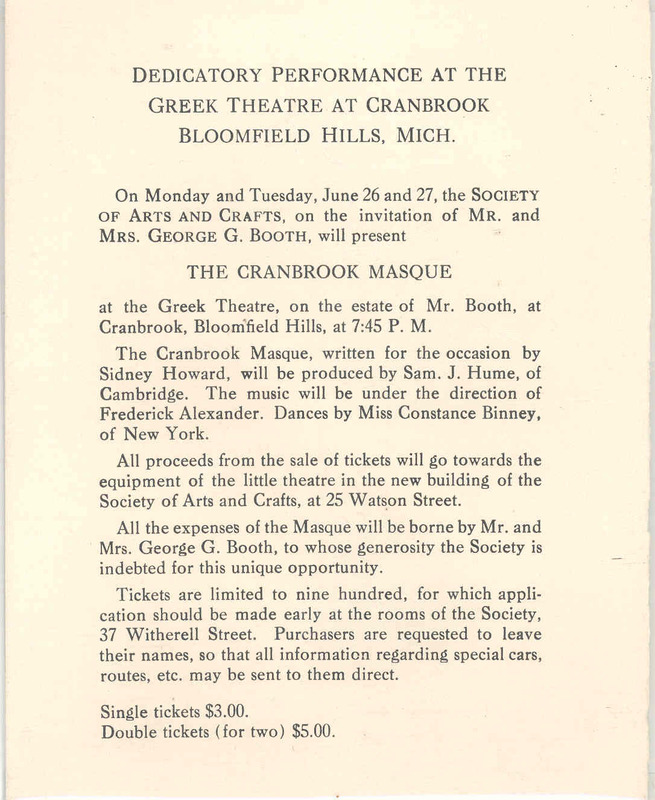 Alexandrine McEwen and her sister, Katherine, were co-founders of the Detroit Society of Arts and Crafts (DSAC) and friends of George Booth. Alexandrine was a bookplate artist, painted miniatures, and also authored many of the early plays for the DSAC. After living for decades in Detroit, she and Katherine relocated to Dragoon, Arizona where they ran a dude ranch.